It’s exactly the right time to hole up with a good book. There’s nothing like spending a quiet summer Sunday morning reading by the pool, in the park, on the beach, or in the hammock in your own backyard. I take a highlighter and pen with me because I’m usually reading business books, but that doesn’t take away from the pleasure of being outdoors and letting your mind wander across the pages. 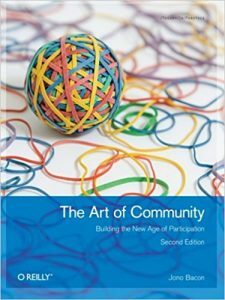 Lately, I’ve been reading several really good books about building communities and thought I’d share them with you. 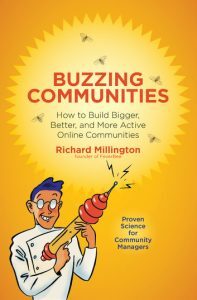 Buzzing Communities was written in 2012 by FeverBee’s Richard Millington, whose work on community building is outstanding. In fact, he’s even inspired the topics of one or two of my newsletter missives! It’s a quick read at 300 pages, and that’s because there is very little fluff. You might run into trouble trying to highlight ‘the good stuff’ in this book because there’s just so much of it. He covers community strategy, growth, content, moderation, influence and relationships, events and activities, business integration, ROI and UX. 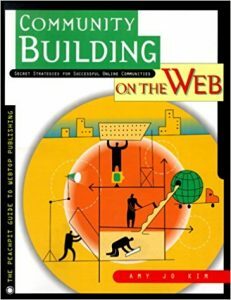 Community Building on the Web came out in The Year 2000 (eons ago, right? ), but the core of what makes communities work hasn’t changed since, oh, year ONE, so it’s still on target when it comes to the basics. I enjoy reading the insights in here about how the early communities, like Yahoo, iVillage, eBay and AncientSites attracted and retained their followings. You’ll basically meet the grandmamas of the communities we know and love today, and you can see how what worked then has evolved into what works now. Think of it as a history book. Jono Bacon is a highly respected consultant on community strategy and this book is almost like hiring him to tell you EVERYTHING. Almost. He goes over how to recruit and motivate members to be active participants and how to use them as a resource for marketing and fresh ideas. All while making your community a resource that helps them do their work faster and easier. He also goes into how to track progress on community goals, and how to handle conflict, two thorny issues in community management that can never get enough page time in my books. Humans are a varied and divergent bunch with all manner of beliefs, morals, and bodies. Systems of oppression thrive off our inability to make peace with difference and injure the relationship we have with our own bodies. 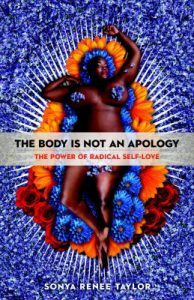 The Body Is Not an Apology offers radical self-love as the balm to heal the wounds inflicted by these violent systems. World-renowned activist and poet Sonya Renee Taylor invites us to reconnect with the radical origins of our minds and bodies and celebrate our collective, enduring strength. As we awaken to our own indoctrinated body shame, we feel inspired to awaken others and to interrupt the systems that perpetuate body shame and oppression against all bodies. When we act from this truth on a global scale, we usher in the transformative opportunity of radical self-love, which is the opportunity for a more just, equitable, and compassionate world–for us all. Nonprofit and philanthropic organizations are under increasing pressure to do more and to do better to increase and improve productivity with fewer resources. Social entrepreneurs, community-minded leaders, nonprofit organizations, and philanthropists now recognize that to achieve greater impact they must adopt a network-centric approach to solving difficult problems. Building networks of like-minded organizations and people offers them a way to weave together and create strong alliances that get better leverage, performance, and results than any single organization is able to do. While the advantages of such networks are clear, there are few resources that offer easily understandable, field-tested information on how to form and manage social-impact networks. 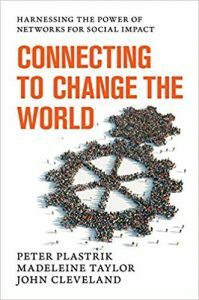 Drawn from the authors’ deep experience with more than thirty successful network projects, Connecting to Change the World provides the frameworks, practical advice, case studies, and expert knowledge needed to build better performing networks. 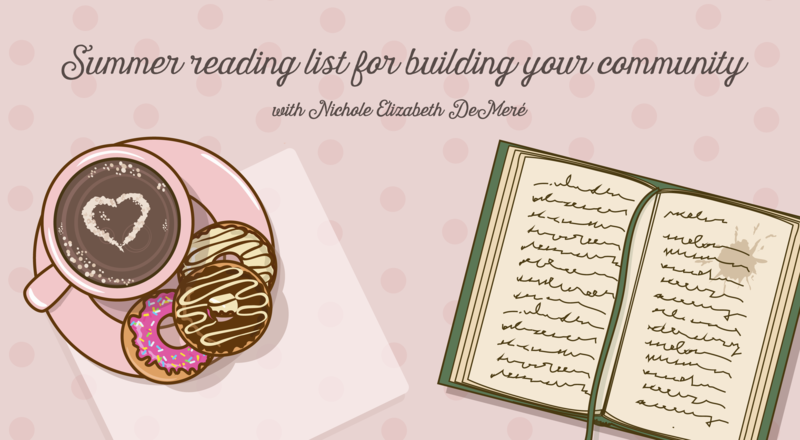 Readers will gain greater confidence and ability to anticipate challenges and opportunities. 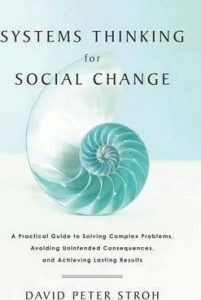 Easily understandable and full of actionable advice, Connecting to Change the World is an informative guide to creating collaborative solutions to tackle the most difficult challenges society faces. Building and sustaining a fiercely loyal community of clients, customers and raving fans is critical for success in today’s turbulent marketplace. Organizations, both corporate and non-profit, that are thriving have discovered a secret – the underlying DNA shared by all wildly successful communities. Fierce Loyalty unlocks this secret DNA and lays out a clear model that any organization of any size can follow. 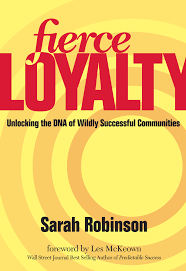 Business strategist Sarah Robinson helps you break down the process and gives you clear, specific steps for creating and maintaining a fiercely loyal, wildly successful community and put it squarely in the center of your business plan. Drawing on her own extensive experience as well as her research into the inner working of some of the most successful communities around, Sarah de-mystifies the process and gives you exactly what you need to make Fierce Loyalty happen in your organization. 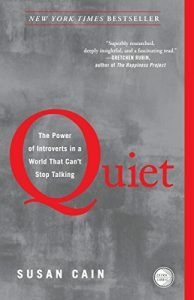 At least one-third of the people we know are introverts (including me!). They are the ones who prefer listening to speaking; who innovate and create but dislike self-promotion; who favor working on their own over working in teams. It is to introverts that we owe many of the great contributions to society. Pride Month is an opportunity to open up conversations about improving inclusivity – not just in our online communities, but for our employees and customers too. As I’ve mentioned in previous emails, I run an LGBTQ community, I am bi, and have been with my girlfriend for almost 8 years. But even if I wasn’t part of the LGBTQ community, I would be advocating for inclusivity, because LGBTQ rights are human rights. Humans, however, are notoriously flawed, and the road to inclusivity is packed with potholes. It’s not an easy road, even for those of us walking it every day. I am constantly listening and learning from my marginalized friends. I’m constantly making mistakes. And I am constantly trying to improve. That’s all we can ask, really. To have the desire to be more inclusive, to listen more carefully, and to constantly improve. Personally, I’d write that straight into company policy, if I had my way. Train staff on the full spectrum of sexual orientation and gender identity, including the LGBTQ vocabulary so everyone knows the correct terms. Provide sensitivity training that is up to date, and not just about racism and sexism. Tip: Learn from Starbucks recent foray into sensitivity training what worked and what didn’t. Advocate with amplification. When a woman makes a good point or brings up a good idea in a meeting, often a man in the meeting will say the same thing (afterwards) and take the credit. This happens a lot, especially in tech. So when a woman makes a good point, do like these White House staffers did and build on the idea so it keeps progressing and is properly attributed to its rightful source. 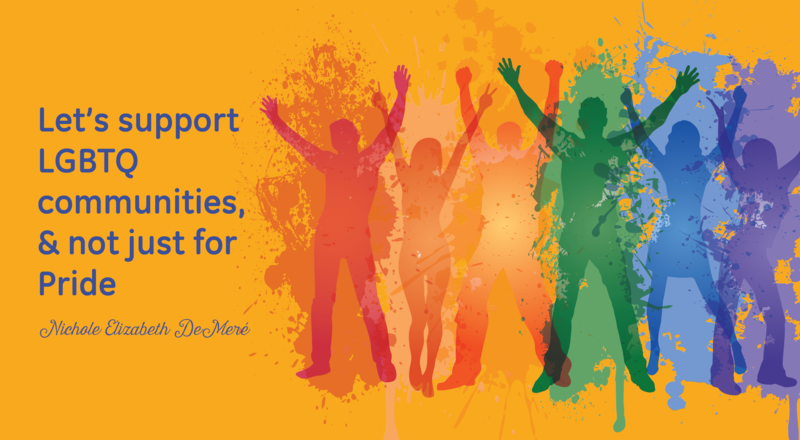 Donate to LGBTQ foundations to show your support. Some suggestions below! The Body is Not an Apology – an international movement committed to cultivating global Radical Self Love and Body Empowerment. Start Out – connects and educates LGBTQ entrepreneurs to empower great leaders and businesses. Out in Tech – provides resources and mentorship to ensure career access for LGBTQ youth and provide web services for LGBTQ activists around the world. Trans Tech Social – an incubator for LGBTQ Talent focusing on providing resources, support and community.